RPG Consultants is proud to be a CEFEX-Certified Recordkeeper and Third Party Administrator (TPA). We are one of less than 13 firms in the country to hold the certification for both TPA and Recordkeeping services. 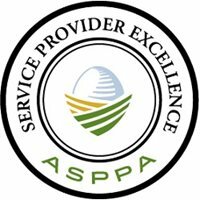 The CEFEX accreditation certifies that we conform generally to the Standard of Practice for Retirement Plan Service Providers, as defined by the American Society for Pension Professionals & Actuaries (ASPPA) and CEFEX. RPG Consultants is proud to have earned BBB accreditation. BBB has determined that RPG Consultants meets Standards of BBB Accreditation, which include a commitment to make a good faith effort to resolve any consumer complaints.